Darren Aronofsky is at the helm for the upcoming second Wolverine flick, and it’s pretty clear he has no intention of simply taking the original a step or two further. According to HitFix, the man behind Requiem For A Dream & The Wrestler has revealed the new film will be simply titled "The Wolverine". In addition Aronofsky also went on to say the picture will definitely be a one-off, rather than be seen as one in a series, a sequel. 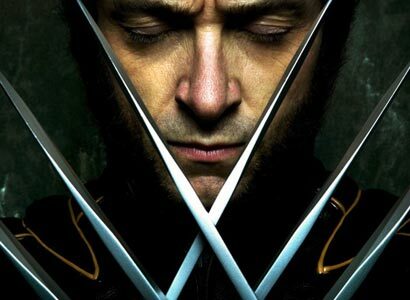 Recently plot details were leaked on The Wolverine which confirm the "stand alone" aspect. Reaction to Gavin Hood’s original Wolverine was lukewarm, though something tells me an Aronofsky superhero flick will end up being a little more polarizing for audiences. We shall see. Aronofsky is emphasizing that this isn't a sequel. If accurate, the title could indicate that they're simply ignoring the previous Wolverine movie, and starting over. That would be in keeping with Fox's plans for Deadpool, who also played a pivotal role in Wolverine. The Deadpool script being used for that planned Ryan Reynolds vehicle also ignores the previous Wolverine, except when it subtly mocks it. I'm reading: DARREN ARONOFSKY GIVES [WOLVERINE 2] A TITLE & STATES ITS NOT A SEQUELTweet this!